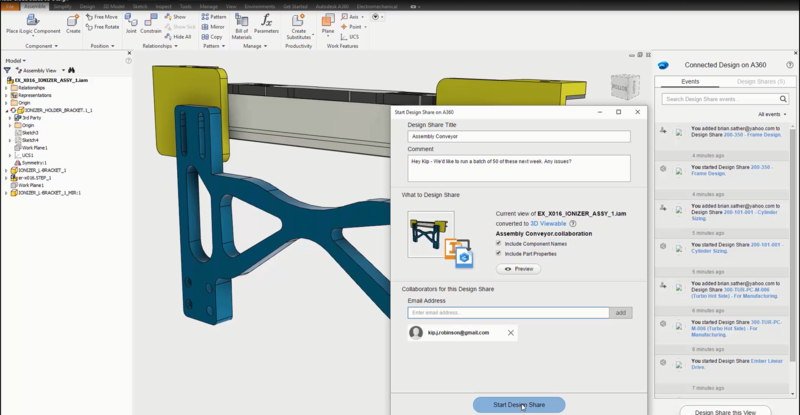 It’s that time of year again to see what’s new in Autodesk’s Inventor 2017.Another pretty good release with new technology that are in line with where things are heading, a focus on cloud collaboration and enhancements that users have been requesting. 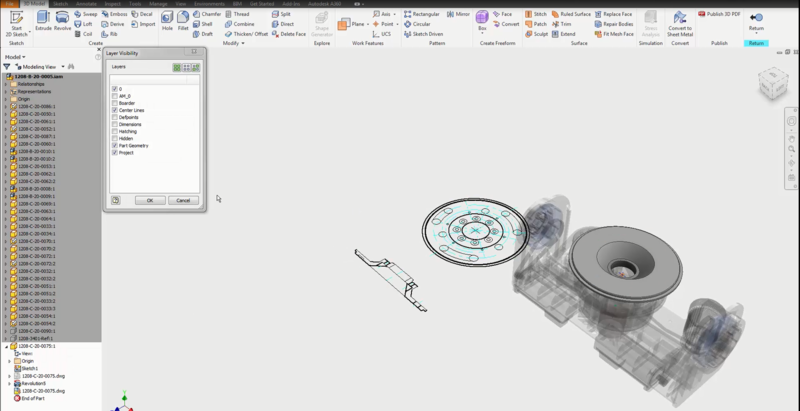 You could manage design share only on A360 drive, now there’s management tools to share designs inside Inventor. Lighting Styles Management – The Lighting Styles interface has been expanded into separate windows. Visual Conflict with Select Other – When you selected other in 2016 or earlier releases it would visually interfere with the area you were modifying, which has now been fixed. Graphics Display Enhancements – Luminence and brightness settings have been adjusted. Circular Patterns – Set the orientation of the body or the feature set of the source, redefine the base point/feature set. 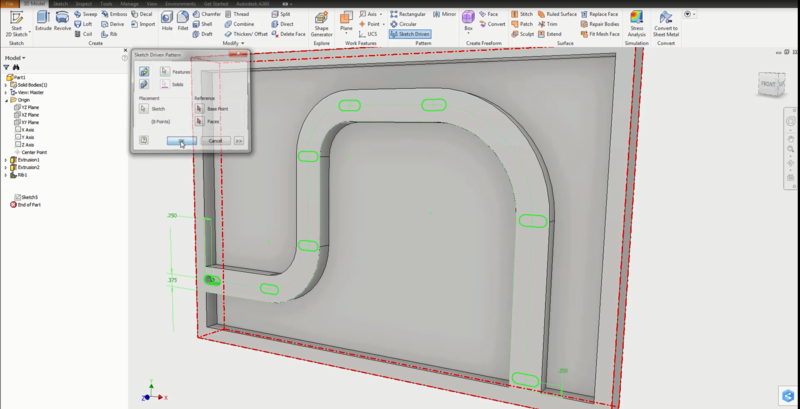 Boundary Patch – Guide rail is added so you can select curveshape the patch by electing points or curves. Parent Child relationship – Access the relationship through the model browser which include Sketches, Shared sketches, Axes, Planes and Points. Sheet Metal Dialog Boxes – Apply button is now added to Corner Chamfer and Round and the Corner Round is resizable. 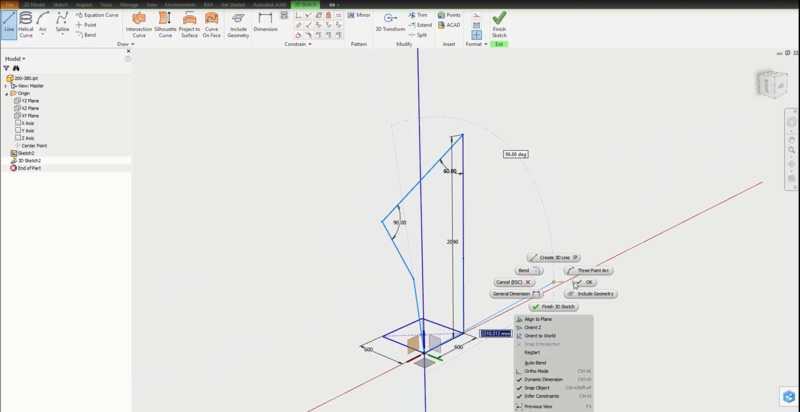 The 3D sketch environment has been revamped making it easier to do 3D sketching with similar tools found in the Tube & Pipe routing module of Inventor. Copy/Paste – You can copy/paste a 3D sketch entity in the same 3D sketch or between 3D sketches. 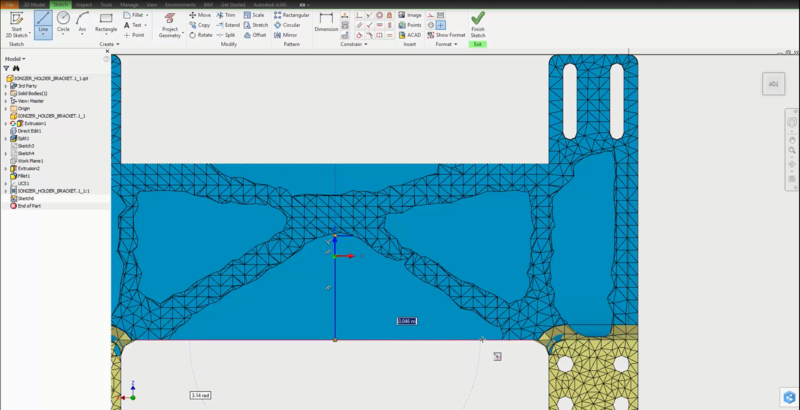 Shape Generator was added to Inventor 2016 R2 with the ability to assist in reducing weight in parts by producing a mesh based on your design and parameters to maximise the stiffness. Preserve a region so when you run a study and the system gives you a mesh design, you can preserve a region not be meshed. The Presentation section has been reworked to include Inventor Publisher features and existing IPN files can be migrated. Presentation template – create a file based on a template or insert the model into an existing file. 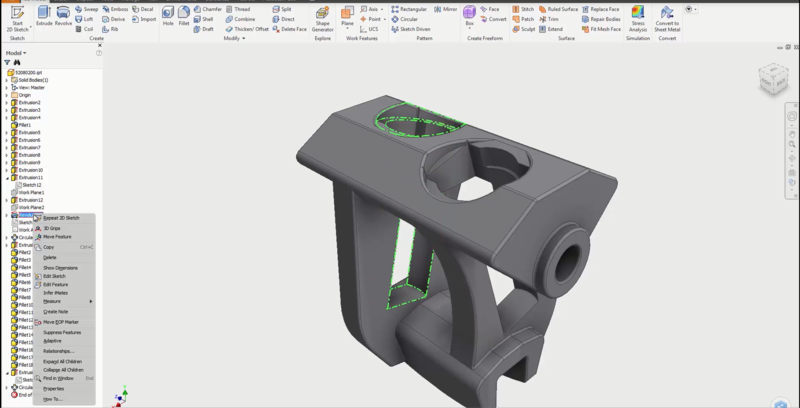 Improved multi-threading – 2017 has had significant multi-threaded improvements when importing CATIA, Solidworks, NX and Pro-E/Creo files with more robustness when placed as a reference. 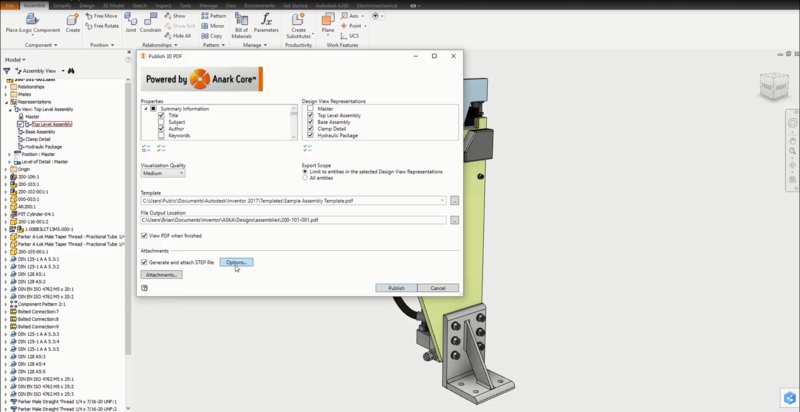 The AnyCAD functionality has extended to STEP files, so now if someone sends you a STEP file and modifies it, there is associativity and the changes will automatically update inside Inventor without having to re-import the file. 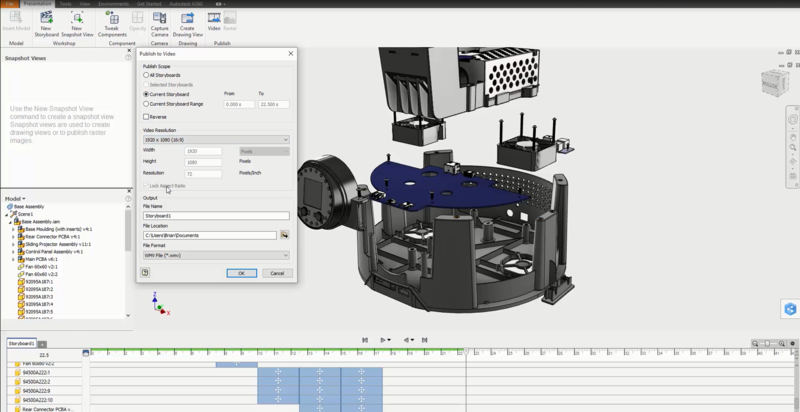 This functionality not only works with STEP but 2D DWG, Autodesk Alias, Autodesk AutoCAD, Dassault Systemes Solidworks, Dassault Systemes CATIA V5 (I’m not aware of anything that is compatible to CATIA V6), PTC Creo, PTC Pro-Engineer and Siemens NX. With 2D DWG’s, the drawings in model space can be quite large and spanned in all sorts of directions within the coordinate system and can include borders, title blocks, attributes, dimensions and annotations. 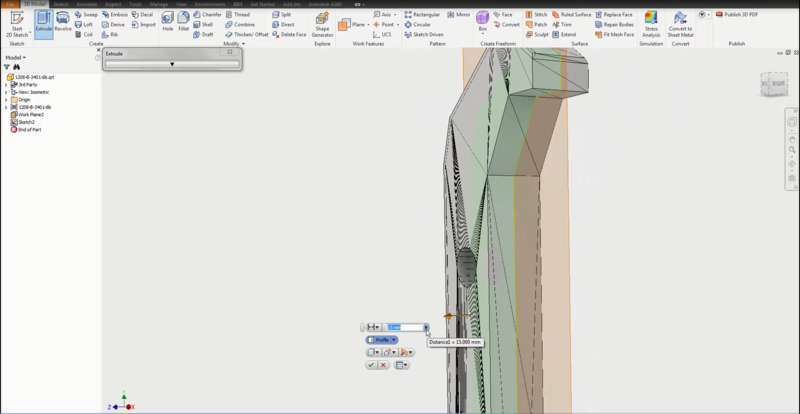 The new enhancements with DWG, allow the user to crop a section of the drawings and move that cropped section to a more manageable place in the Inventor environment (i.e. the origin 0,0,0). 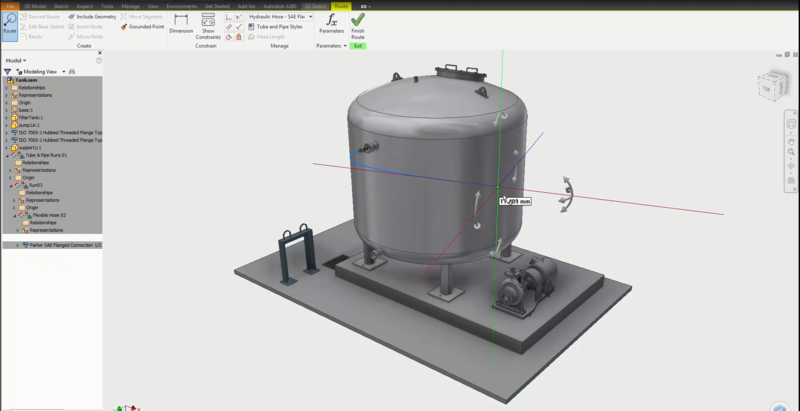 The other enhancement is being able to place that dwg file in an Inventor part into an Inventor 2016 drawing as a view and maintain associativity between the dwg file and the Inventor drawing. You can also add an instance of the same DWG in a part file. As mentioned under AnyCAD, you can insert a STEP file as a reference and maintain associativity.